Home How To Make Soya Chaap? Soya is being considered to be one of the richest sources of protein, but it is very surprising to know that soya is not being used very frequently in Indian style of cooking. If we talk about Chinese cuisine, then soya can be termed to be core ingredient in their style of cooking. In china there are hundred or more different kinds of soya made food product that are part of daily diet in china along with soya beans, tofu, soya milk and many more. For more than thousands of years ‘soya has been regarded as the core ingredient in china. 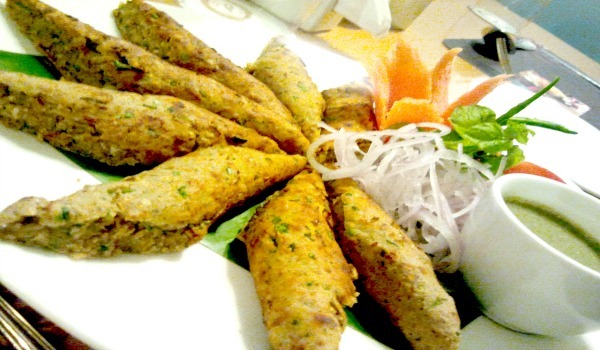 Soya chaap is tasty meal along with the good source of protein, is both appealing and appetizing. It is like most in the Delhi/NCR region. As soya chaap is basically a North Indian delight and is considered equivalent to non-vegetarian dish. But no need to worry it is actually a pure vegetarian dish. Therefore because of such importance of soya in meal, soya chaap holds a very important position. We are here presenting the recipe of creating the delicious soya been chaap curry although if needed one can also consume it as a dry soya chaap. It generally varies with a taste of different person to person. 3 to 4 Soya chaap of 250 grams approx. 3 tomatoes of 250 grams approx. Firstly,cut soya chaap into chunks of 1-1 ½ inches approx. now preheat oil in a non-stick pan. Place chunks of a soya chaap in a hot oil. Fry chunks until turns brown then take them out in a plate. Now make a paste of tomato, ginger and green chilly by grinding then finely. Add cumin seeds in an oil and sauté them for a while. Now add asafoetida, coriander powder, turmeric powder, black pepper, garam masala, dry fenugreek seed, cinnamon stick, cardamom and clove to a sauté mixture. After sautéing the spices for a couple of minutes, now add tomato-ginger-green chilli paste and put some red chilli powder. Sauté the mixture until oil starts separating from it. When you find oil starts separating from the mixture, add garam masala and cream into it. You need to stir the mixture constantly until the masala simmers. Now add ½ cup of water into it when masala starts simmering and stir constantly until gravy comes to boil. Now add some leaves of green coriander in the gravy and mix. Add salt as per taste and soya chaap into the gravy when it starts boiling. Mix well and now cover the pan with a lid and cook for 4-5 minutes on a low flame. Now your soya chap is ready to be served. There are few suggestions for you all that after adding a cream in the masala try to stir the mixture constantly and cook until it starts simmering else cream may splatter and also add slat later as if u add it with a cream it can splatter it. The total time required to prepare soya chaap would be 30 minutes approx.